“We are being hounded by the BJP and the RSS for exposing the central government’s failures. But we will not be cowed down. We will continue to fight BJP and RSS,” said senior RJD leader Abdul Bari Siddiqui. One of the many issues that were on agenda at the RJD meet on Monday was to counter Opposition’s call to sack Tejashwi from the Cabinet. Several MLAs supported Lalu and his family. 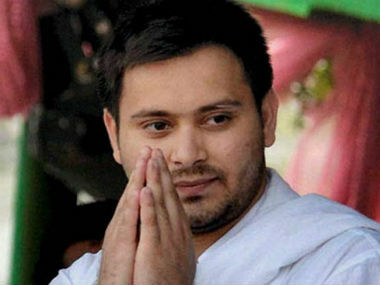 A report in India Today quoted RJD MLA Arun Yadav who said that Tejashwi should continue as deputy chief minister and even projected him as the next Chief Minister of Bihar. This entry was posted in News and tagged Nitish kumar, Politicalplay, Rjd, Tejashwi yadav.